The morn of life Is past, and evening comes at last. It brings me a dream of a once happy day. Of many forms I've seen, upon the village green. Grief cannot drive him away. The forms I call'd my own have vanish'd one by one. 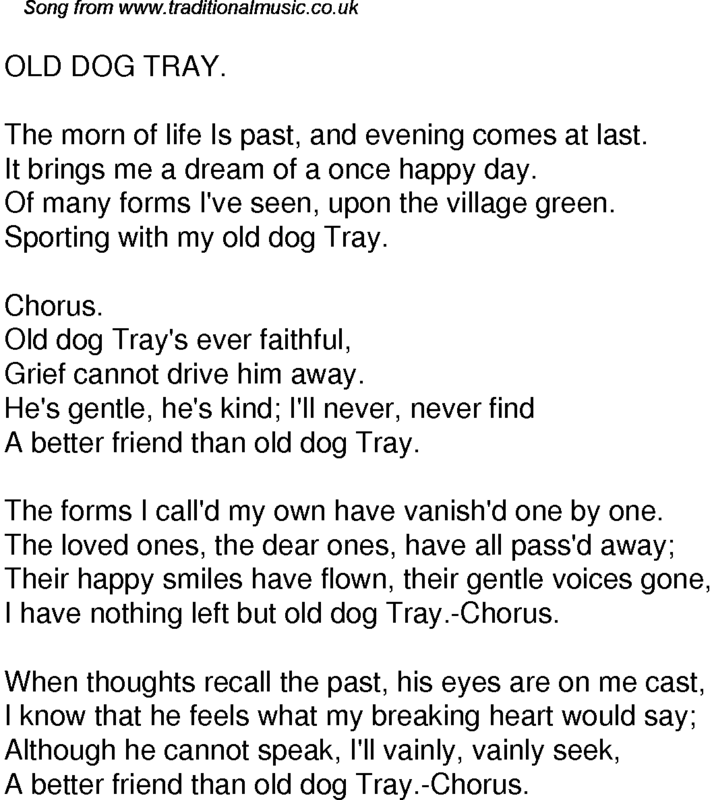 I have nothing left but old dog Tray.-Chorus. A better friend than old dog Tray.-Chorus.